It's Really Cold! Are Your Pipes, Tanks, Totes, and Valves Freeze Protected? Winter is here in full force. Plant operators and plant maintenance must be vigilant in preventing the freezing of their equipment. Cold temperatures can often damage or destroy objects and their contents. 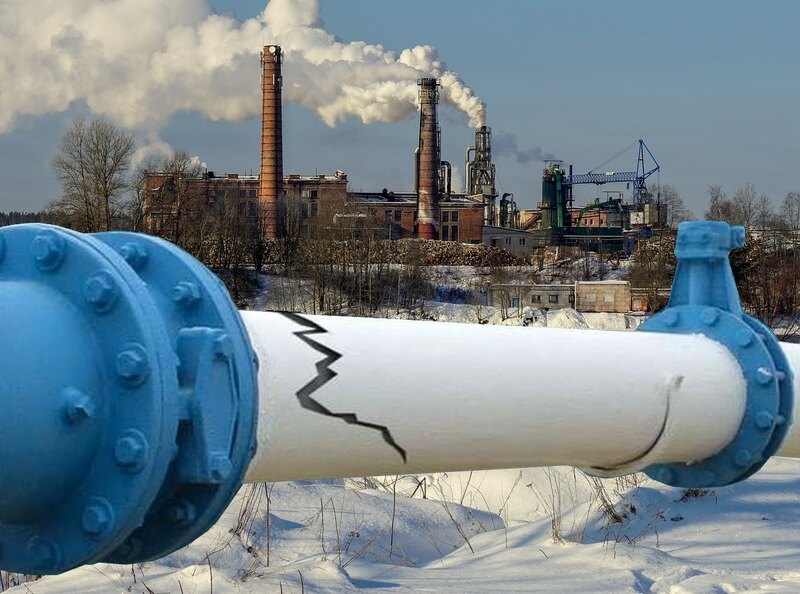 Pipes, valves, tanks, vessels, conveyers, and housings are examples of common objects that can be hurt by the cold and have devastating consequences, costly downtime and unplanned outages. Anticipating freezing conditions and protecting buildings, equipment, and grounds against freeze damage is a vital part of a Facility Maintenance Program. 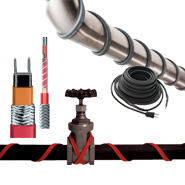 There's a wide range of freeze protection applications you need to consider, including pipe tracing, drum heating, roof and gutter de-icing, IBC heating, valve de-icing, vessel heating, and enclosure heating. Ensure that whatever means of freeze protection you have available are ready. Failure to ensure these systems are properly protected from freezing can have catastrophic consequences. Act now, before it's too late. Download a freeze protection checklist and freeze protection product catalog here. Intermediate Bulk Containers (IBCs), also known as IBC totes, or pallet tanks, are reusable industrial containers designed for the transport and storage of bulk liquid or granulated chemicals, food ingredients, solvents, pharmaceuticals, or other material. Often, to maintain optimum viscosity, there is need to apply heat to the contents of a tote to raise and maintain it's temperature. This ensures the material remains ready for production and is easy to dispense. Without external heat, increased production cost or damage to equipment can occur. Heaters are also used to protect temperature sensitive material inside the IBC tote from cold or freezing, thus reducing the possibility of loss due to ruined materials. The most effective way to heat IBCs are with specialized electric heaters referred to as "wrap-around IBC tote tank heaters". These heaters are adjustable to fit many size totes, provide the required wattage to maintain a temperature between 50 deg. F and 160 deg. F. and also include built-in 1/4” fiberglass insulation for thermal efficiency. 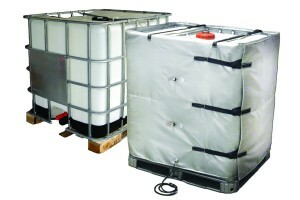 They can be used with caged, plastic, or metal IBC tote tanks. Installation and secure fit are accommodated with adjustable nylon straps and buckles. As the contents of the tote empties, there is no reason to continue to heat it's upper zone, so IBC heaters include independent, dual zone temperature control that separately controls the upper and lower zones of the bottle. A built-in high limit thermostat and a grounded heating element prevents overheating and worry-free operation. A standard 120 volt, grounded 3-prong plug is provided for easy power connection (240V models have bare wires). An alternative design are silicone rubber IBC tote tank heaters, for use on totes with removable bottles. Placed inside the IBC cage, directly under, and in direct contact with the bottle, they provide very fast and efficient heat-up. Made from fiberglass reinforced silicone rubber and 1/2” thick foam padding, these heaters provide outstanding durability. This design comes complete with a grounded heating element, thermocouple temperature sensor, and digital temperature controller, and is approved for use indoors and outdoors.